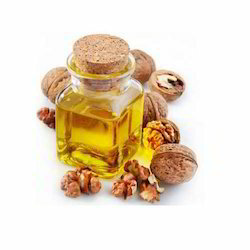 Included 100% pure & natural Carrier Oils/Base Oils/Vegetable Oils From K-Z alphabetically. 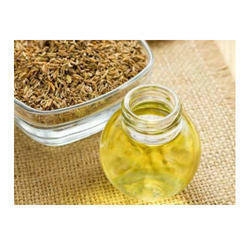 Our organization manufactures and supplies a variegated range of Fennel Seed Oil. The main constituents used to formulate this oil consist of anethol, α-pinene, methyl chavicol, anisic acid & aldehydes. This oil is a remedy for digestive complaints such as flatulence, constipation, colic, nausea, vomiting, anorexia, dyspepsia and hiccups. Also, it is used as an appetite stimulant. Fennel oil is a remedy for digestive complaints such as flatulence, constipation, colic, nausea, vomiting, anorexia, dyspepsia and hiccups. It is also used in cases of obesity, as it promotes that 'full feeling' and has a diuretic effect that helps to disperse cellulite. For the mind, it adds courage and strength in the face of adversity. 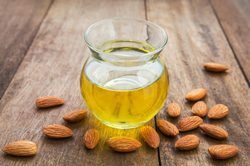 It has a cleansing and toning effect on the skin, helping with bruises, sorting out overly oily skin and to fight wrinkles in more mature complexions (possibly due to the estrogenic properties of the oil). Sweet fennel oil is powerful and shouldn't be used in large doses, as it may have a narcotic effect. It should be avoided altogether in pregnancy and cases of epilepsy. It contains high amounts of trans-anethole and for that reason people with estrogen linked cancers, as well as breast-feeding mothers, pregnant women and women suffering from endometriosis should rather avoid it. Odour The odour is slightly Earthy or Peppery Spicy & a Clean Sweet Aromatic dry out. Botanical Source F. Vulgare Var. Vulgare (Umbelliferae) called "Fennel" in India. Solubility Soluble in Alcohol and Oils & in soluble in Water. 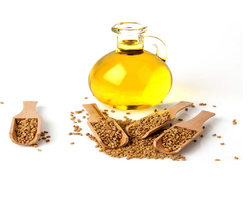 We are engaged in providing a wide range of Sesame Oil to our valuable clients in different specifications to meet the diverse requirement of clients. Having extensive application areas, these products are processed with the aid of modern machinery and technology. These are formulated using high quality raw material. 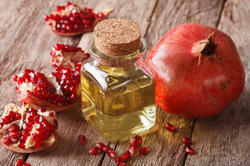 With our expertise in this domain, we are able to manufacture and supply a superior quality range of Pomegranate Seed Oil. 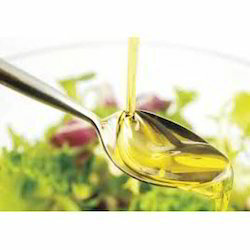 The offered oil is formulated by our highly experienced professionals. 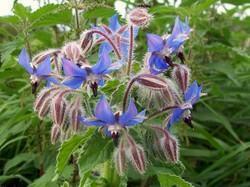 This oil is used in cosmetic products to revitalize dull or mature skin. Also, it is used within most skin care products such as massage oils, facial care products and other body care & cosmetic products. Without moisture, wrinkles become more abundant and pronounced, the skin looks tight and lacks luster. Odour Oily liquid, practically odour less and with a mild characteristic taste. Solubility Slightly soluble in alcohol 96Âº. Soluble in Chloroform and ether. Insoluble in water. 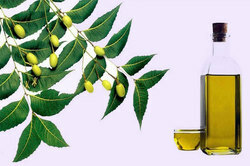 We are the leading manufacturer and suppliers of Neem Carrier Oil. It is manufactured using good quality raw material keeping the best level of purity. 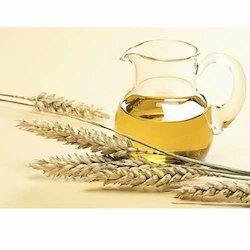 We are the leading manufacturer and suppliers of Sesame Seed Oil. It is manufactured using good quality raw material keeping the best level of purity. 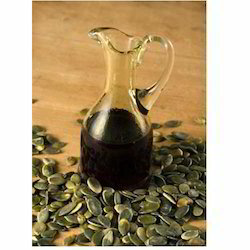 In order to fulfill the ever changing demands of our clients, we have been engaged in offering a quality range of Pumpkin Seed Oil. 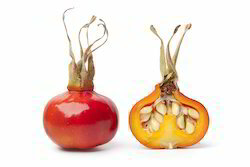 The offered oil is obtained from the seeds of Cucurbit pep. This oil is formulated by pressing roasted hulled pumpkin seeds. It is a pharmaceutical natural that helps in making soft gel capsules. “Moringa Oil” is obtained by cold press distillation of dried seeds of Moringa Pterygosperma Gaerth. Odour : The odour is Strong, Sharp, Pungent. Botanical Source : Moringa Pterygosperma Gaertn. Main Contents : Pterygospermin (AntibioticSubstance) Solubility : Soluble in Alcohol and other organics solvents & insoluble in water. Packing : Preferred to pack in Aluminum bottles, keep away from direct sunlight and keep in cool place. 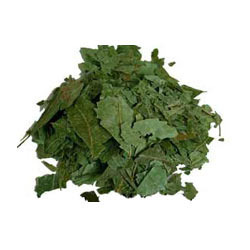 Uses : Herbal base cosmetics, Aromatherapy, Ayurvedic Medicine. Description A clear oil, free from foreign matter and immiscible with water. Colour Yellow to pale yellow. 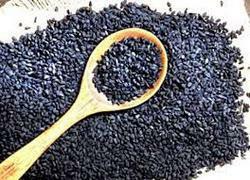 Being a professionally managed manufacturer and supplier, we are engaged in offering our customers with COA of Black Cumin Seed Oil. 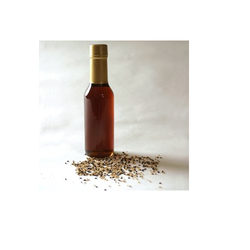 Looking for Carrier Oils - Seed Oils ?